Hi Rita, I just wanted to make sure that you saw Linda Halpin’s response to your question on Facebook. If not, here it is! Would like to learn more about quilting. Where can the Little House fabrics be ordered on line. I live quite a ways from the stores that come up on the store locator. I grew up reading these and read them to my daughter. She even named her youngest daughter Laura. I would like to make both of them a quilt or throw with these fabrics. 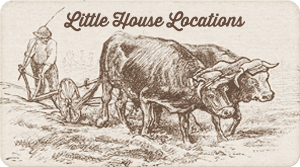 Just found out the Jackman’s Fabric stores listed for the St Louis, Mo as sources for the Little House on the Prairie fabric,The only one still open is the Jackman’s on N. Lindbergh. The one on Watson is now a PetCo store. The one on Andes is also closed. Thank you for that information – We will pass it along to Andover Fabrics so they can have their web person update that feature. 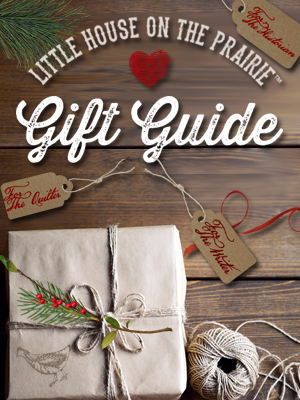 I’m not sure about an online retailer but I will try to find out for you. 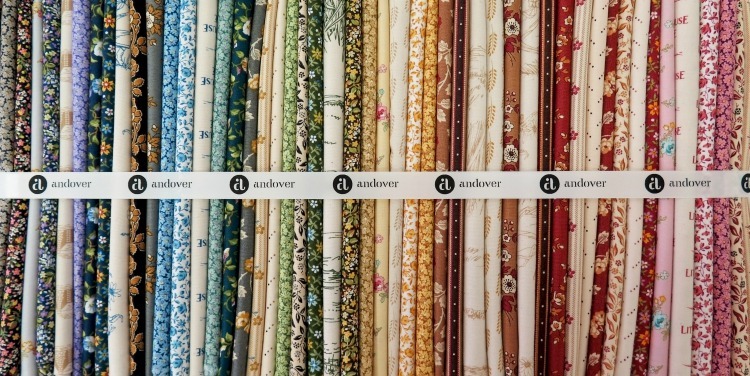 To order the Andover LHOP Fabrics you can also go to EQuilter.com in Boulder, Colorado, as an online fabric store. 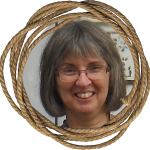 We have a follow up post with Linda scheduled with some tips for beginners who are learning to quilt. 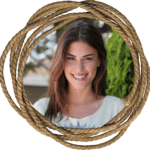 We will also be posting a round up of tutorials and DIYs to help beginners get started with simple, very doable projects. Be sure you are subscribed to the newsletter and following us on our social channels so you will see when these posts go live. Thanks for this information. Yes, I am a very new beginner. I appreciate the help. 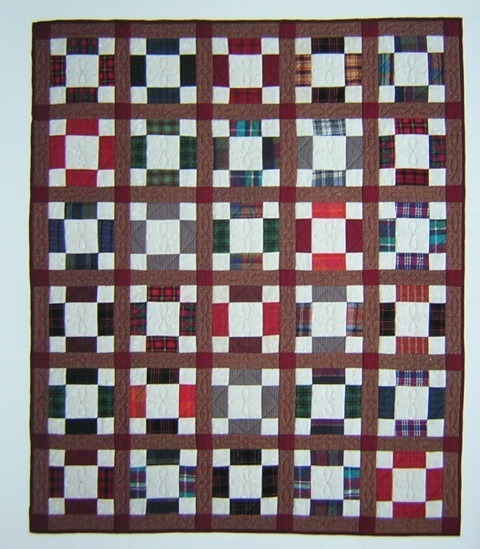 My favorite memory is of my Nanny and Aunt Doll making quilts until they died. They would work for hours hand piecing the tops then quilting them. 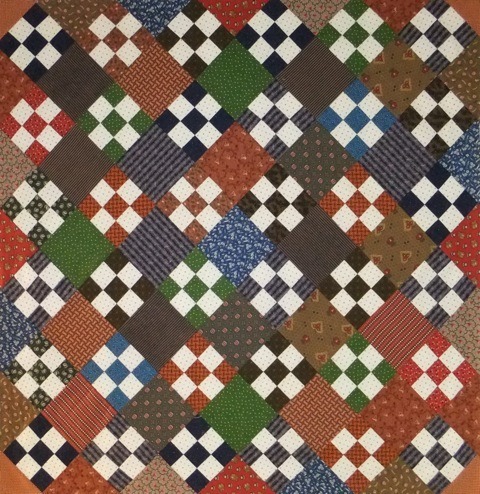 Even after Aunt Doll became bed ridden she never stopped piecing or embroidering tops and then Nanny would quilt them Nanny’s quilt rack was hung from the ceiling she would lower while quilting and put back up when done. She would have to watch for anyone coming up so she could roll it back up to get into the house. 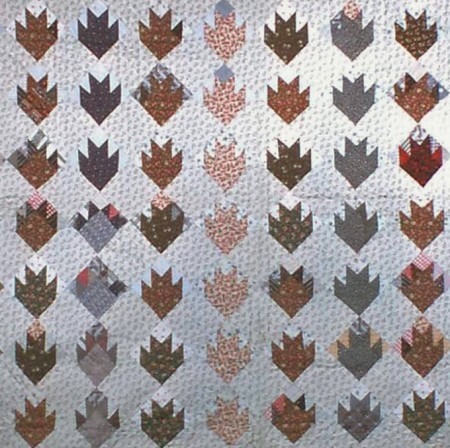 One Christmas she made every grandchild a quilt. Those two ladies still make me smile to remember them. I took my daughter Erin to many places where The Ingalls lived. 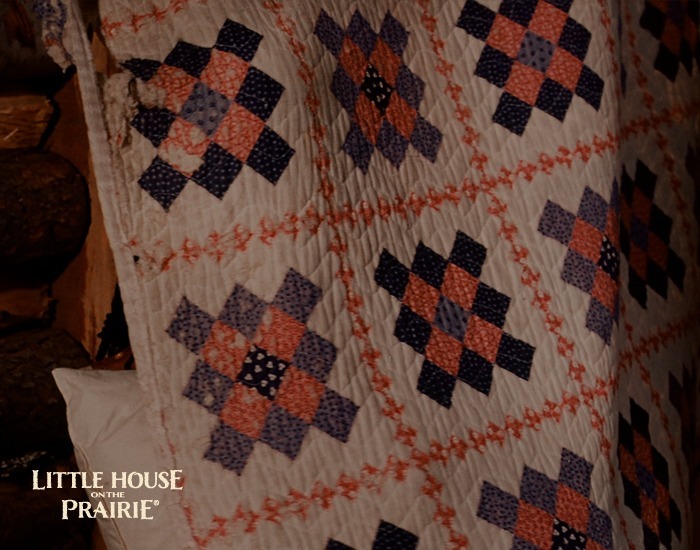 I made her the quilt that was at the museum in Walnut Grove that was Laura’s. She now is the proud owner of the quilt I made for her. She has in her home. It is over one of the railing in her home that is an A frame. When she was younger we had a Laura Ingalls Wilder room with all of our collections of souvenirs. We even had the children come our area school to tour our room that we had made. They were studying her books and her family. 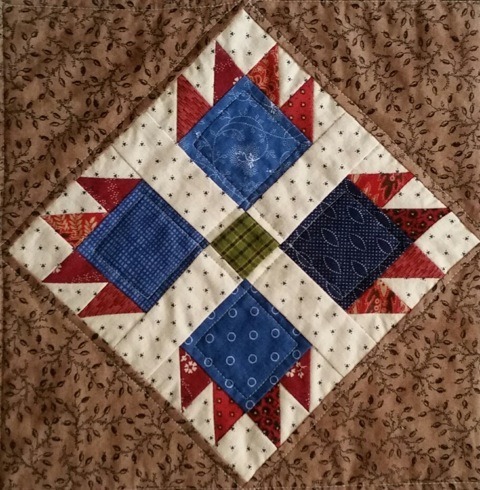 Laura was a very special author..
Where can we get Ms. Halpin’s quilt patter for the quilt she made for the Andover booth in Houston? So pleased you enjoyed the quilt I made for the Andover booth at Houston. 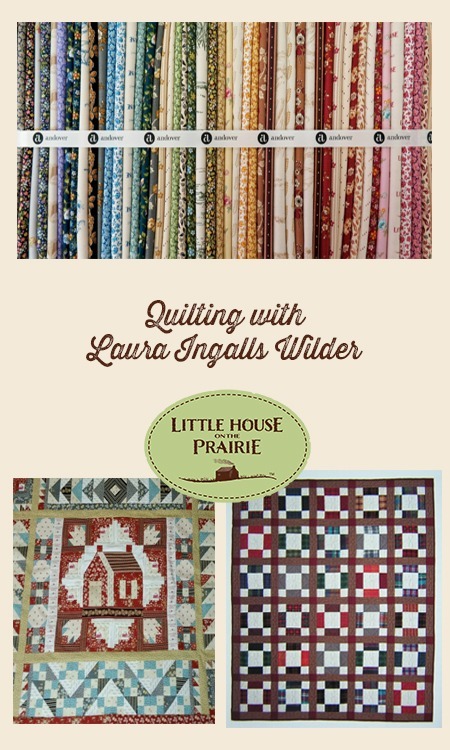 It is a sampler quilt made up of blocks from my book “Quilting with Laura: Patterns Inspired by Laura Ingalls Wilder’s Little House on the Prairie Series.” Each of the 14 blocks in the book tells a story related to Laura’s adventures. 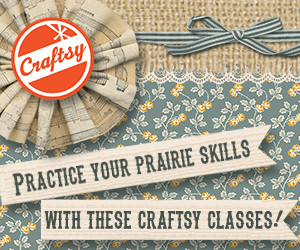 I did not create a pattern specifically for the Andover booth quilt, but rather, quilters are encouraged to pick and choose which blocks they like and create their own prairie adventure quilt that tells their story. 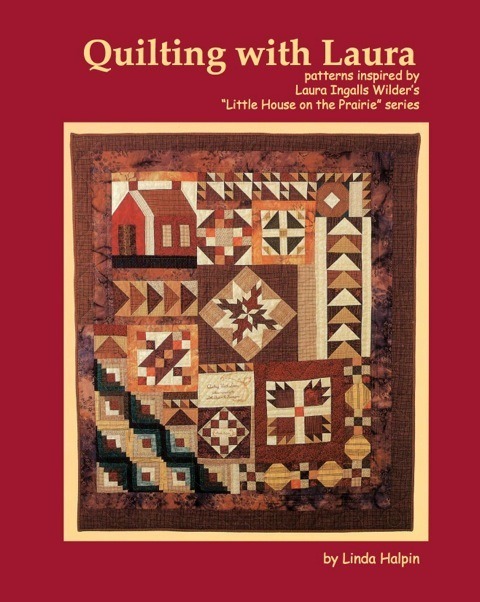 If you are interested in adding “Quilting with Laura” to your library of books, it may be ordered directly from me on my website http://www.lindahalpin.com. 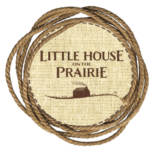 Also, be sure to check out the terrific giveaway that Andover is offering to celebrate the launch of the Little House on the Prairie® fabrics collection. 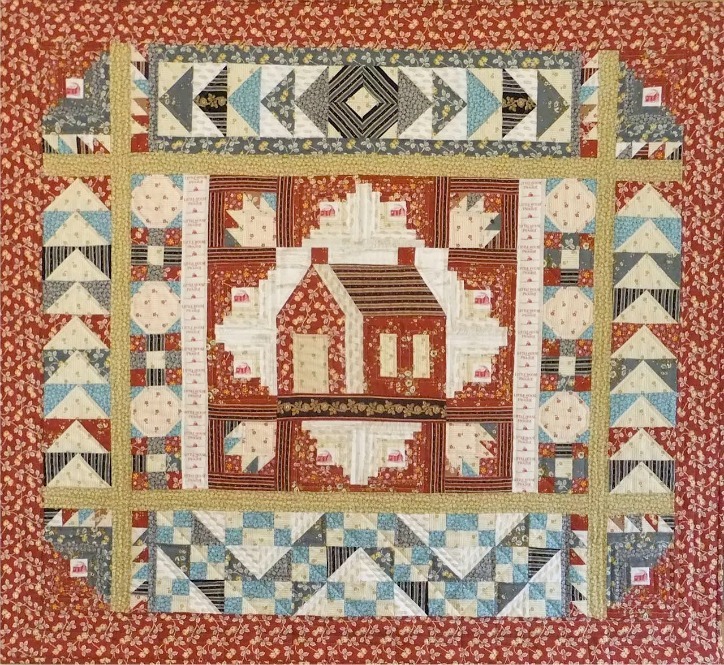 Type ‘Andover giveaway’ in the Search area of this website (http://littlehouseontheprairie.com/little-house-on-the-prairie-andover-fabrics-giveaway/). I too have loved Laura Ingalls Wilder and Little House on the Prairie books for as long as I can remember. I have been to some of her homes. 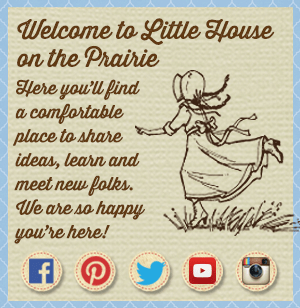 I read Little House in the Big Woods to my 3rd graders every year and usually used Little House on the Prairie in our reading curriculum. Many of my 3rd graders learned to love Laura too. I can’t wait to see this fabric since I have not yet seen it in our local quilt shop! I will have to get this book too–both to use and to add to my Laura collection! This is such a great show I watch it with my grandchildren. Didn’t even know this website existed until this morning. 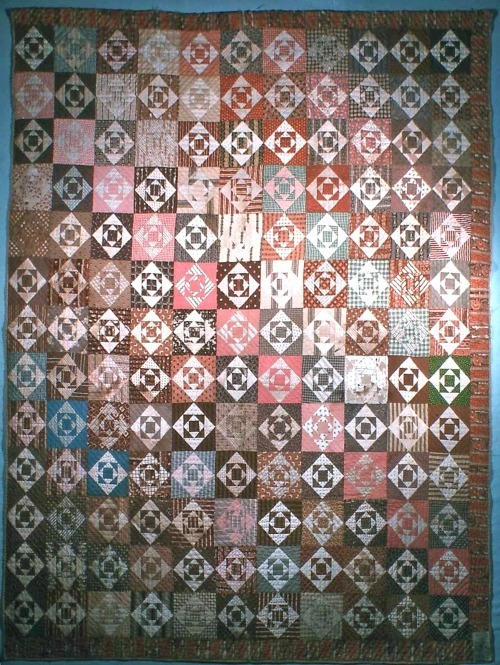 I was searching the web for a quilt pattern that would be appropriate for a “Laura” quilt. Thank you so much for your website. We’re so glad you found us! Be sure to subscribe to the newsletter in the sidebar for a monthly email that will keep you informed of any news, giveaways, or special content. Great to have you join us! I am so happy to see this! The quilts are beautiful! 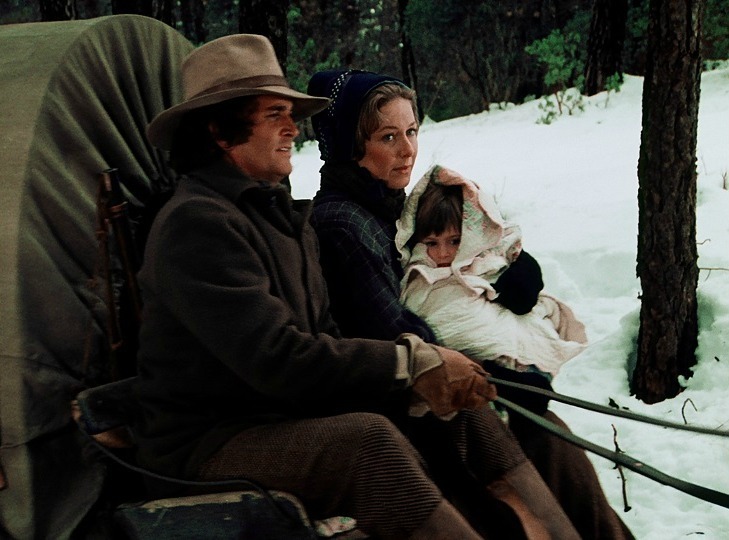 I was in the 3rd grade when my teacher read the Laura Ingalls Wilder books to us. We also wrote to her and she answered our letters. 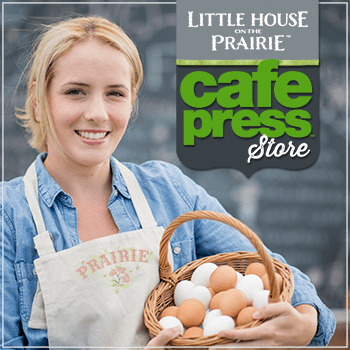 I grew up in the Midwest prairie area. My grandmother was a school teacher living with different families and teaching in a one-room school house braving the winter blizzards to get to school and start a fire in the stove. So glad to see that the Laura Ingalls Wilder’s heritage lives on. Although I have never learned to quilt I might just have to give it ago with the introduction of the quilt line. 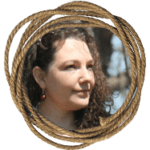 This was a lovely article and learned so much.